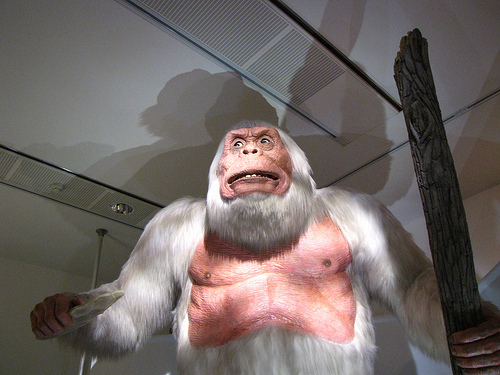 If you can’t bear to spoil the big reveal about what the mythical Himalayan human/primate/combo (?) 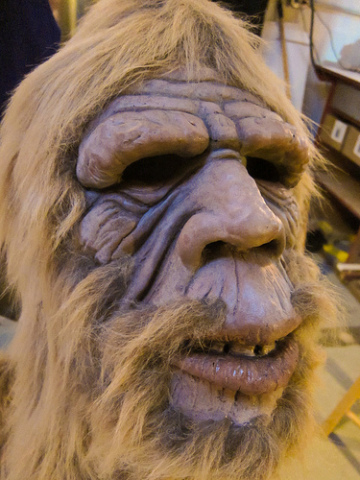 Yeti creature might actually be, then stop reading here! After carefully analyzing DNA taken from “Yeti samples,” Oxford University genetics professor Bryan Sykes believes that the Yeti might actually be a polar bear. Sykes compared the DNA samples from a pair of animal remains the locals claimed were Yeti against a huge database of animal genomes, and discovered that the Yeti shares 100% of its genetic code with a really old polar bear jawbone recovered from Norway’s Arctic far north. His conclusion is that whatever a Yeti is, it is most likely an undiscovered subspecies of polar bear or a polar bear/ brown bear hybrid creature, and not the infamous primate that everyone thinks of when they hear the word “Yeti.” What makes this find especially important is that both samples of the mystery animal match the Norwegian polar bear’s DNA, since one sample was taken from a mummified Yeti 40 years ago and the other was a single hair found 800 miles away around 2003. Whether you call the creature a Yeti, Bigfoot, or as they are sometimes called in the Himalayas, “migoi,” it really is mind blowing to think that the mountain dwelling alpha predator might exist as an undocumented bear species. 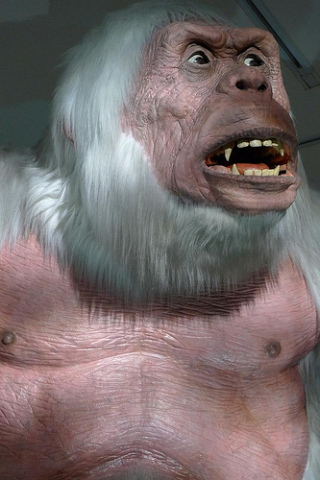 Science is science, but I’ll always hold a special place in my imagination for the “classic snow gorilla” Yeti!